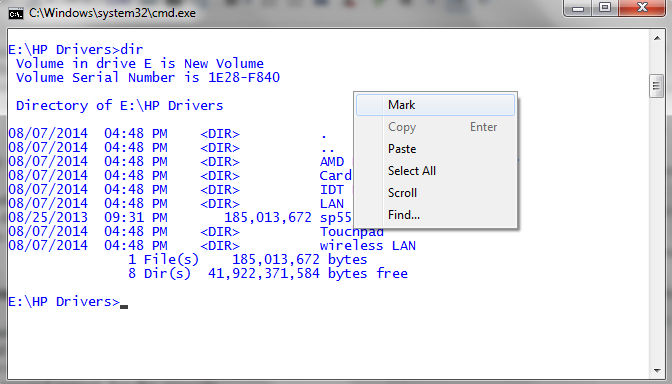 Right click on command line window and select mark. After that select the text either by using shift and arrow key or by dragging the mouse on the text which you want to copy. After selecting the text press enter. 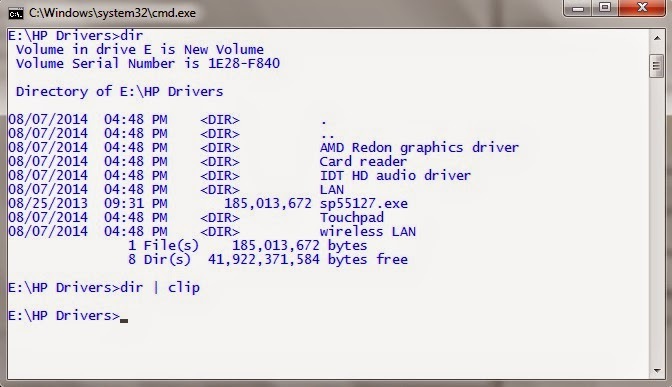 It’ll copy the text to clipboard as it looks in command prompt. Selecting the text using mouse drag. Pasting the text in command line is very easy. Just position your cursor where you want to paste your text with help of arrow keys. 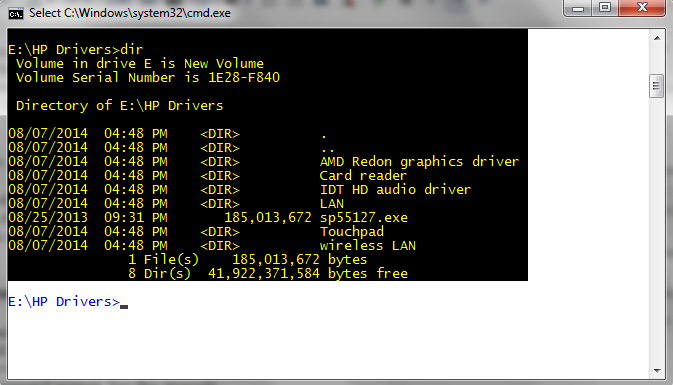 Now right click anywhere on command line inner window and select paste.